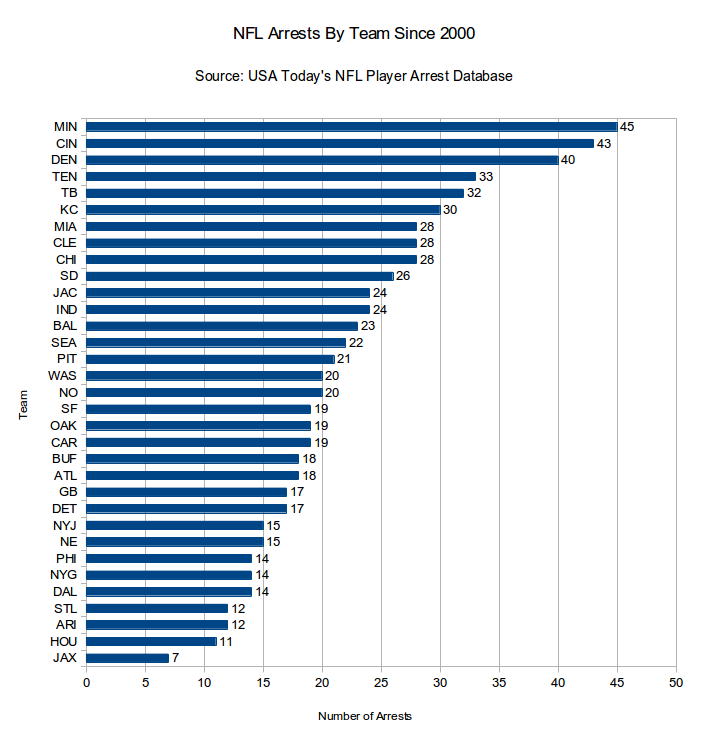 It turns out the Minnesota Vikings, recent recipients of nearly $500 million in taxpayer subsidies (which was a terrible idea for reasons outlined here), lead the league in arrests since 2000. Posted on September 14, 2014 by jsaxton. This entry was posted in Uncategorized. Bookmark the permalink.